Senators from Midwest introduce bill to strip protections from endangered gray wolves. The legislation would stop citizens right to challenge this legislation in a court of law. 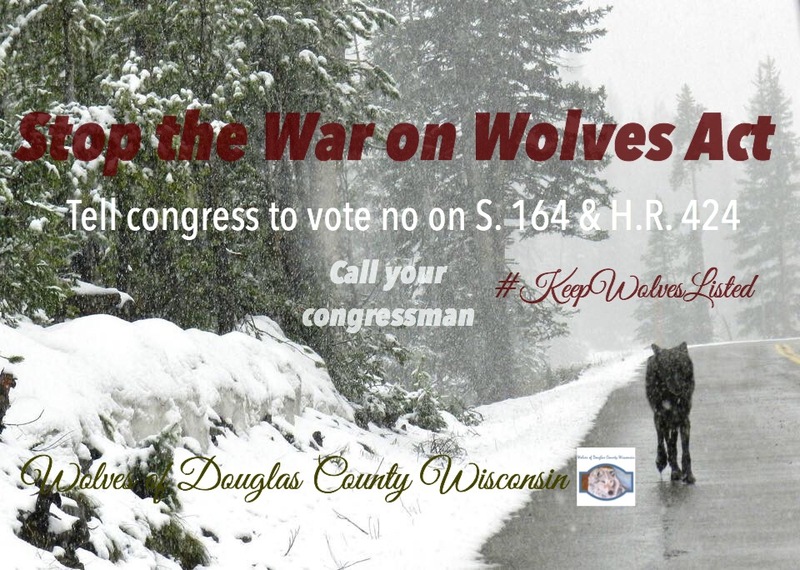 There are currently two bills in congress that call to delist the wolf in three states, S. 164 (Senate) introduced on 01/17/2017 by Senator Ron Johnson (R-WI) and H.R. 424 (House of Representatives) introduced on 01/10/2017 by Representative Collin C. Peterson (D-MN). It is important to let them know why you are calling and what issue you are calling about. You will sometimes be able to speak directly to your senator or representative, but more often you will speak to a staff person in the member’s office. This person keeps track of how many people called and their positions on issues, and provides a summary to the member. Be assured that your call does count, even if you are not able to speak directly to your senator or representative. It is usually most effective to call your own senators and representatives, as each is primarily concerned with residents from his or her district. However, you may occasionally find it useful to call other members, if they are on a certain committee or in a particular position to help get a bill passed. So many have stepped forward for wolves.. 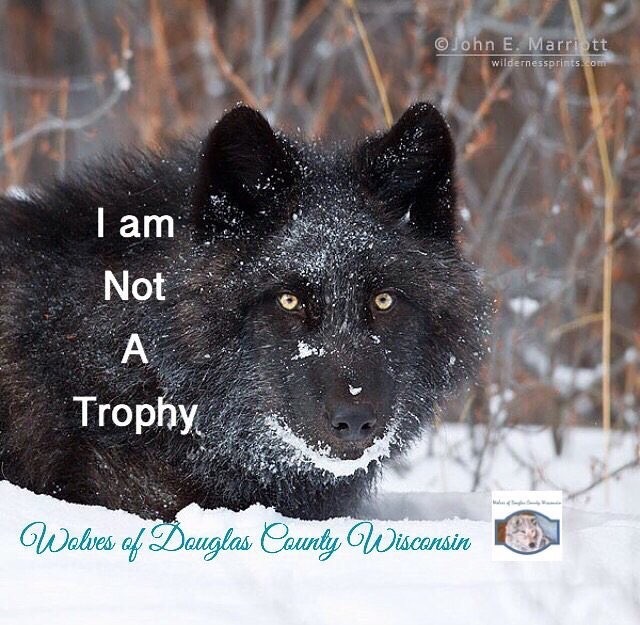 There is a community of wolf advocates from across Wisconsin and the nation coming together to work for wolves. This warms the heart ❤️ and gives hope for the future. We are together as one large body ready to fight the War on Wolves. 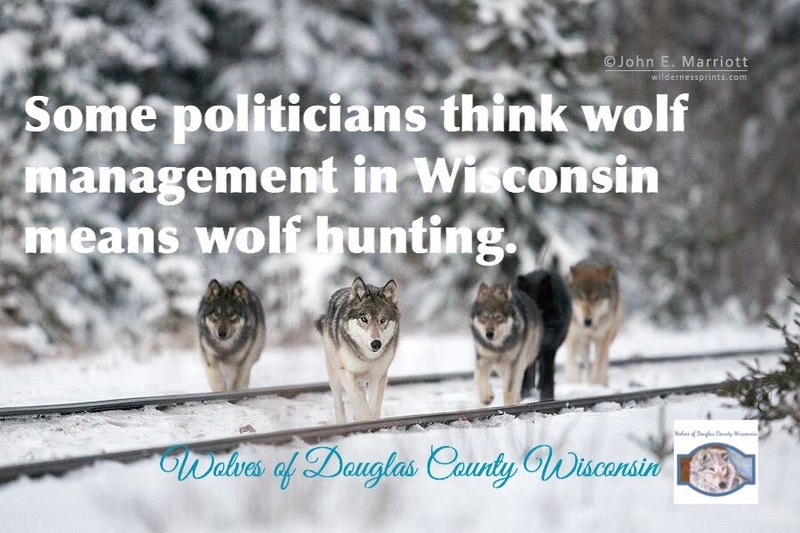 Anti wolf politicians, lacking core values; are striking at the heart of the environmental movement. But we are there Standing on the moral high ground to defend the earth; wilderness, wolves and wildlife. People need wolves and wolves need people! They are the cornerstone of the Eco-system! They take of the little animals and cause the hold eco-system to flourish. They save the trees. Correct my post They take care of the little animals and cause the Whole Eco-system to flourish. They save the Trees.